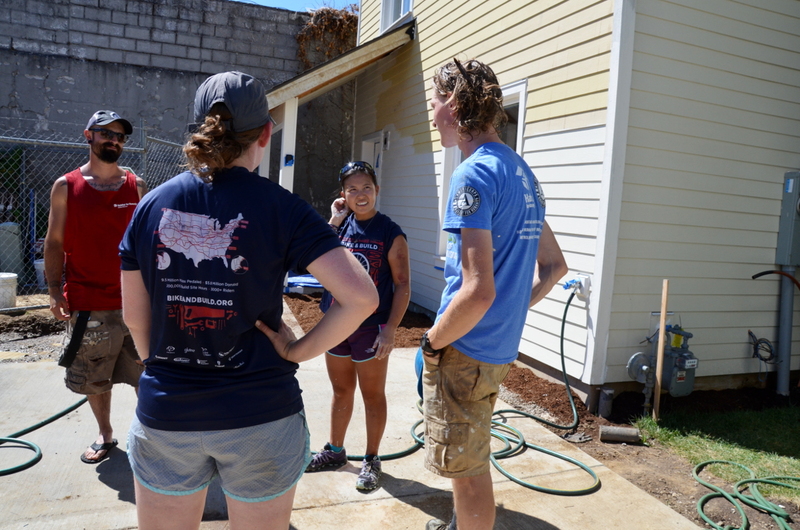 2016 Bike and Build riders Carmen Kuan and Kelsey Oesmann with local Habitat for Humanity worker Jake Antles at their work site in Cully Thursday. 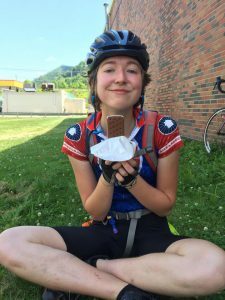 For the 15th year in a row, a crew of young adults on bikes pulled into Portland Wednesday almost ready to finish a cross-country bike trip designed to change the way they see their country. Habitat for Humanity and similar home-building organizations rarely lack for volunteers. 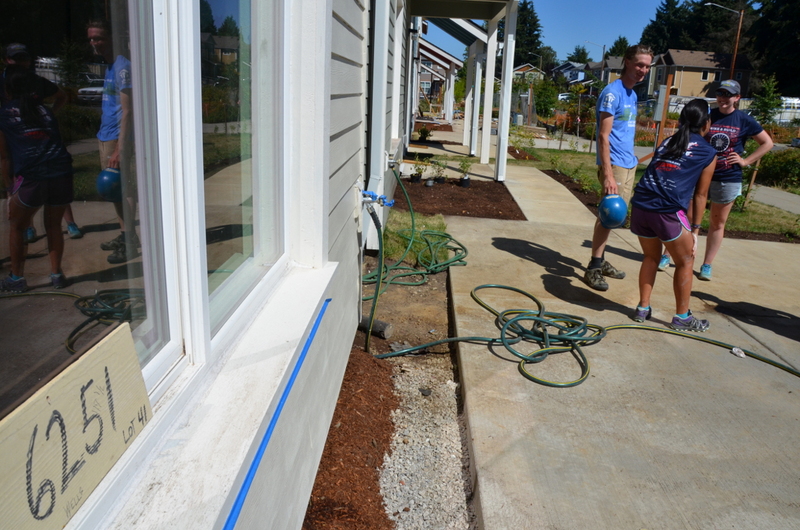 But as they finished up work near Northeast 60th and Killingsworth Thursday, Bike and Build participants said their person-hours aren’t really the point. Each participant raises $4,500 for their tour, much of which is donated to affordable housing organizations and other Bike and Build partners. Riders can self-direct $500 to any affordable-housing organization. Getting ready to head out in Yorktown, Virginia, in May. Carmen Kuan of Athens, Georgia, said the 4,000-mile bike trip helps participants “develop grit and stamina” and gives them a physical connection to the country. The crew that headed west out of Portland Friday morning was on Day 76 of a trip that started May 21 in Yorktown, Virginia. On July 13, two of their teammates, Anne Davis and Laura Stark, were struck by a woman driving a car on U.S. Highway 26 outside Idaho Falls, Idaho. Davis was killed and Stark remains hospitalized. The cause of the crash is still under investigation. 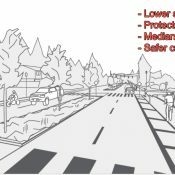 Bike and Build saw no rider fatalities from 2002 until 2010. Since 2010 there have been four. 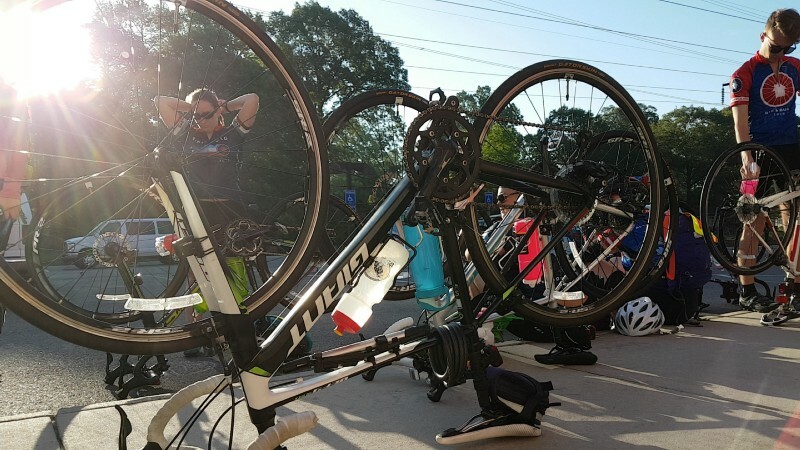 More than 3,000 riders have participated over the years; each must complete 500 miles of personal training and a skills course before leaving. 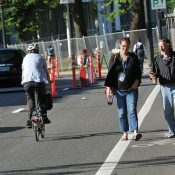 Many, including Kuan and Oesmann, are already bike commuters in their home towns. There are 11 Bike and Build routes: eight cross-country and three shorter coastal ones. The Central United States route currently runs through Portland. Next week, the 24 active members of the team expect to finish their cross-country trip with a ceremonial front-wheel dip in the Pacific Ocean on Cannon Beach. Despite the long journey, the traumatic loss of a teammate and Thursday’s blistering heat, Oesmann said she isn’t eager for the trip to end. Interesting. Not what I assumed from reading the title. I was thinking more along the lines of what Chris Sanderson (Builder By Bike) does here in town: uses his bike and trailer to build things, haul tools and materials, etc. While bike tours are always fun, I don’t really see the connection between the biking and the building. thanks 9watts. they’re good people doing good things and using bikes to get around. not trying for any deep connection, just thought it’d be fun to share what these folks are up to in our neighborhood. It’s a fundraiser for affordable housing organizations, not that much different than Reach the Beach or Bike MS. It’s just way longer with some actual human experiences built-in. Pretty fantastic. Agree. Great way to combine a few experiences. I’m pretty sure a robot wrote these sentences above. I participated in a Bike&Build cross-country trip 10 years ago. I learned about leadership, perseverance, and so much more. 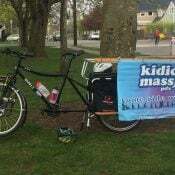 When I moved to Portland later that year, I had the confidence to get involved in bike advocacy, bike racing, setting big goals and following through, and being open to experiences I would never have imagined. 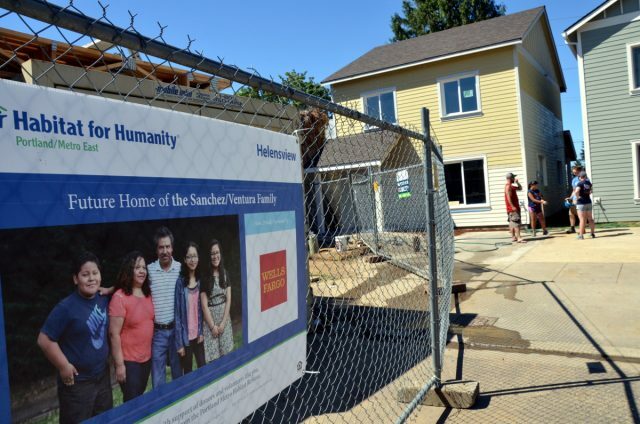 Sometimes I do think it was a selfish trip in that I feel like I gained more than I gave, but in the end my trip put in 1500 hours of work on affordable housing projects and raised $135k for affordable housing grants. I’d call that a win-win. Thanks for covering this story, Jonathan! My daughter did it in 2009, she’s a richer person from the experience. She grew a lot and gained confidence and humility as she entered ‘adult’ life. It’s all good!